If you’re looking for work, a new house, things to do or local news in Fife then s1 has a website to help you find what you’re looking for. Fife is the third biggest council area in Scotland by population and is situated on the East Coast, just north of Edinburgh. In population terms, the area is dominated by Glenrothes (where the council headquarters is situated), Dunfermline and Kirlcaldy, but by far the area’s most famous town is St Andrews, the home of golf. Although Fife was always a wealthy area due to its links to royalty through the ages, it wasn’t until the 19th century when demand for coal surged that it really started to grow. The number of coal mines rocketed making the population swell and creating towns like Lochgelly. Later, in the 20th century, Kirkcaldy was also famous for linoleum production. From this background in heavy industry, Fife now has a very diverse employment spread covering renewable, business services, construction, engineering and tourism. In 2011 there were 164,900 people working in Fife, 4.8% fewer than in 2005, which represents 70.6% of the working population (Source: Labour Force Survey 2011). 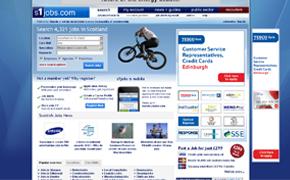 Currently there are over 130 jobs in Fife advertised on s1jobs. The ancient roots, wide geographic area and multitude of different development periods means that Fife has one of the most diverse housing markets in the country. From castles first constructed in the 13th century and costing millions of pounds to ex-council properties, Fife recently contained the town with the lowest average house price in the UK (Halifax House Price Report 2005). As an example of the extremes in the property market in Fife, St Andrew is home to the most expensive flat in Scotland at over £5m. The last 12 months have seen subsequent quarterly drops in the asking price of properties across Fife and a steadying of the average selling price. There is still a gap of around £10k between what people are asking for their property and the selling price that is being achieved. 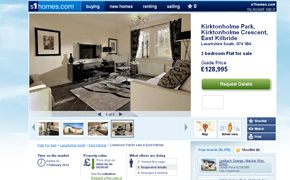 Currently on s1homes there are over 1,200 houses for sale in fife and over 500 flats for sale in Fife. The rental market is also buoyant with over 200 flats to rent in Fife on s1rental. St Andrews is world renown as the home of golf and as such attracts tourists from all over the world who would like to play on The Old Course. While this might be out of the price range for most golf fans, there are over 45 other golf courses in the Kingdom. The whole area of Fife is chock full of castles, palaces and abbeys that make for great days out and great scenery. St Andrews Castle, St Andrews University and Dunfermline Abbey are amongst the most visited of these venues across the area. Carnagie Hall in Dunfermline is one of the oldest and probably the most famous music venue in Fife. Opened in 1937, it was named after Andrew Carnegie and shares the name with the famous venue in New York city. The Adam Smith Theatre in Kirkcaldy is even older than the Carnagie Hall and was actually opened by the famous steel magnate in 1899. The venue is still well used today from anything from comedy shows to concerts. There are two very different ways you can drive through and around the Kingdom of Fife, the M90 that goes from the Fourth Road Bridge through to Perth, or the Fife Coastal Road that goes from Inverkeithing all the way round to St Andrews. The Fife area is always well served by rail and connects to the south via the Fourth Rail Bridge and the north via the Tay Rail Bridge. Fife has an extensive education system with 142 primary schools and 20 secondary schools. It also has 13 special needs schools, three colleges and, of course, St Andrews University.